We are excited to announce that we will be the first spa in the country to introduce an elaborate ritual known as the Mystic Inka Treatment. The four-part body treatment includes plants that are 100% native to the Peruvian Andes, where body and mind live a sacred moment of complete liberty and well-being. 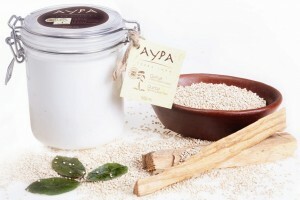 Developed by Aypa, this relaxing journey offers your senses the unique experience of allowing exotic natural aromas to captivate the spirit and soothing textures to pamper the skin. The 90-minute journey begins with the burning of incense over the entire body, followed by four body treatment products that are applied according to a sequence of steps and massages that are inspired by ancient Inca techniques. In the Andean purification rituals, native plants are used to remove the negative charge from the body. Those who developed the ritual believed the charge was then “handed over” to the Earth, where it could be transformed it into positive energy. A moment to free your mind and renew your senses. 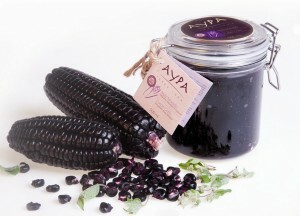 During this treatment, we’ll help you relive this Andean purification ritual beginning with the Purple Corn Antioxidant Body Exfoliant. With the help of a draining massage, it removes impurities of the skin, leaving it soft and luminous. 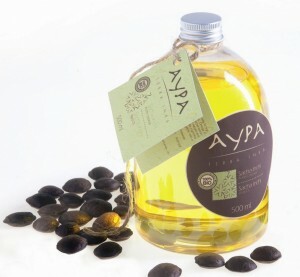 You with also enjoy the refreshing and soothing scent of the Andean Muña plant. According to ancient Andean traditions, the hands are an extension of the heart, the place where the soul resides. In that principle, energy is transmitted through our hands and are considered to be healing instruments. A delightful experience for body and soul. Experience a magical sensation of well-being with the creamy Lucuma Warming Body Mask, enhanced by a sweet enchanting aroma. The exclusive back treatment relaxes the muscles and relieves tension using a pleasant warming effect. While energy is transmitted back into the body during a revitalizing massage, the skin remains oxygenated and luminous. In the Andean culture, a natural way of achieving physical, mental and spiritual well-being is to channel the energy from the cosmos toward the body. An instant connection with nature. Feel this energy and let it flow through your body with the Sacha Inchi Body Oil. We use this luxurious, quickly-absorbing, highly-concentrated vegetable oil to balance the body’s energy centers, while hydrating the skin. 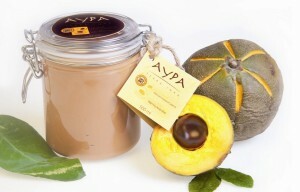 Its exotic, natural aroma provokes a sensation of harmony and relaxation. For the native Andean people, the innate ties between humanity and nature are a part of ritualistic reciprocity. They believe that nature feeds mankind and in return, we care for its preservation. A sensational moment of relaxation. Take full advantage of its ability to nourish your body by sustaining your skin with the rich Quinoa Nourishing Body Cream. In the final step of the treatment, you will feel revitalized by a deep massage, that leaves the skin glowing and its surface strengthened. Find a balance of softness and vitality, with a refreshing and woody aroma based on the Andean essence of Palo Santo.